The K2 Parkstar is actually very different than many popular continuous rocker boards. The flat to rocker design makes it very stable between the feet. The flat in the middle of the board makes this very easy to handle one footing or flatbasing. 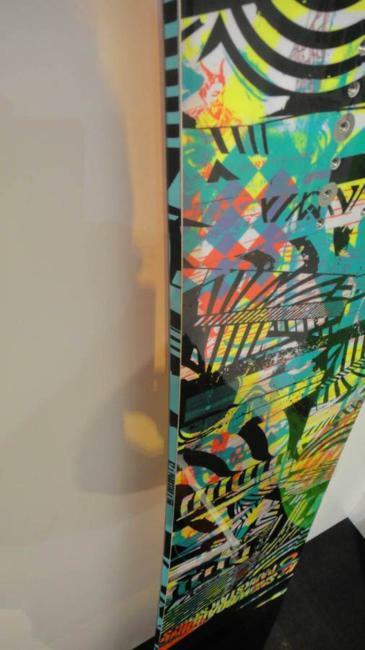 K2 was right there with Lib-Tech with the introduction of rocker snowboards to the public so don’t think they don’t know how to make a good rocker snowboard. The Parkstar is a good choice for someone who wants to jib everywhere and likes jumps. It’s not super popy but it’s also not lifeless. To elaborate on this there is good pop when it comes to an ollie but the pop you usually get out of a carve is lacking a bit. This is the parkstar so the later complaint is not as important. The Jib Rocker camber profile makes sense and does a great job where it’s supposed to. It’s an almost flatline or flat camber board except for a little bit of rocker added before you hit the tip and tail. It’s not there for float but it makes the ride a little more catch free while still allowing you to have a big sweet spot for hitting jibs. 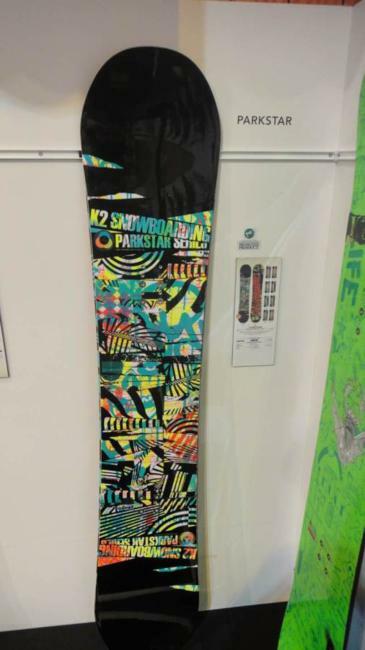 The 2011 K2 Parkstar has softened up a bit but is still pretty much the same board as the 2010 K2 Parkstar. The 2012 K2 Parkstar is a bit lighter, has a shorter size range and a little more playful. It’s still the same parkstar that many liked from last year but just slightly improved. All in all the Parkstar is a very fun board. Our only real complaint is we’d like to see this have a little more edge hold. If you ride in good conditions you will not have any issues. We try to get as many images of the K2 Parkstar, but forgive us if they're not all there. Absolutely the best board for beginners looking to progress into jumps one day. Story of my life. Bought this board 3 years ago on clearance and still loving it. For a softer board the k2 parkstar is surprisingly stable. If i feel like it i will take this board all mountain and not have any problems w stability. the only complaint i have is in the deeper stuff, but thats not what this board is for... if you are thinking about this board.. GET IT!